In a large heatproof bowl set over a pot of simmering water, combine the chocolates with the butter and coffee and cook over moderately low heat, stirring occasionally, until the chocolate and butter melt, about 6 minutes. Remove the bowl from the heat and let cool until an instant-read thermometer inserted into the chocolate reads 75°, about 30 minutes. Add the 8 egg yolks and whisk until smooth. In a large bowl, using a hand mixer, whip the 8 egg whites at medium-high speed until soft peaks form, about 3 minutes. Sprinkle in the sugar, 2 tablespoons at a time, and whip until the whites are thick and glossy, about 4 minutes. In a second large bowl, using a hand mixer, whip the heavy cream with the liqueur at medium-high speed until medium peaks form, about 5 minutes. Using a rubber spatula, fold half of the whipped cream into the chocolate mixture until just a few streaks remain. Fold in half of the whipped egg whites, followed by the remaining whipped cream and egg whites. Scrape into a large serving bowl or small bowls. Cover the mousse with plastic wrap and refrigerate until firm, about 2 hours. Garnish the mousse with coarsely grated bittersweet chocolate just before serving. 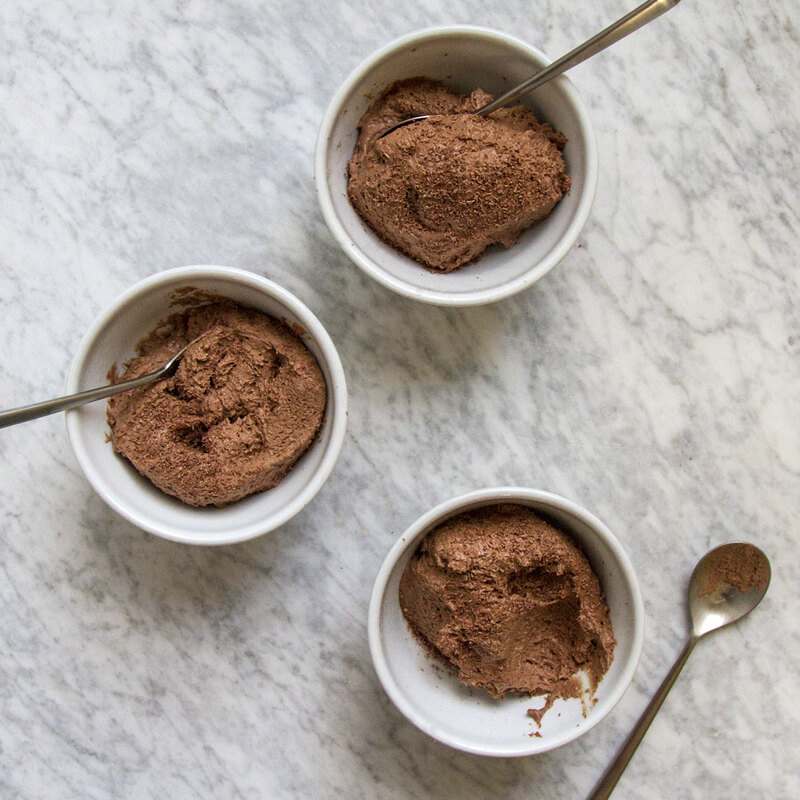 The chocolate mousse can be refrigerated for up to 2 days. Please note that this mousse contains raw egg whites.